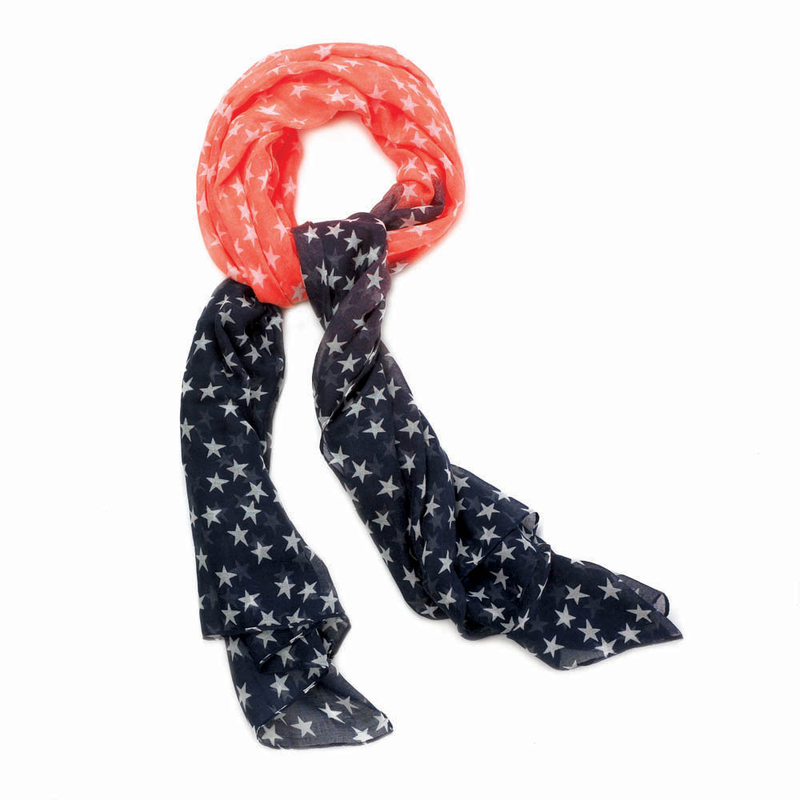 The stars will shine bright, day or night, when you accessorize with this fashionable scarf. 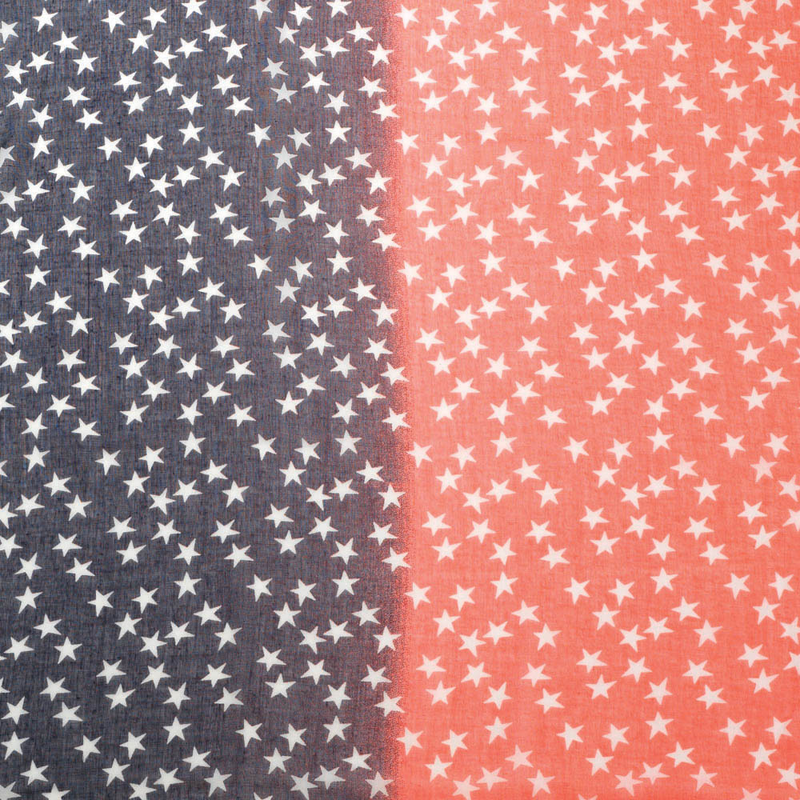 The all-over white star print and the gorgeous shades of orange and deep navy blue instantly amp up any wardrobe. The perfect lightweight scarf to dress up any outfit and can be used in place of a necklace! Item weight: 0.2 lb. 71½" x 31". Polyester. UPC: 849179020057.